Arduino enthusiasts looking for a new project to keep them busy over the weekend for the next couple of weeks, maybe interested in a new Arduino GPS watch which has been created using an Adafruit Pro Trinket, an Adafruit Ultimate GPS Breakout board and a little Arduino coding. 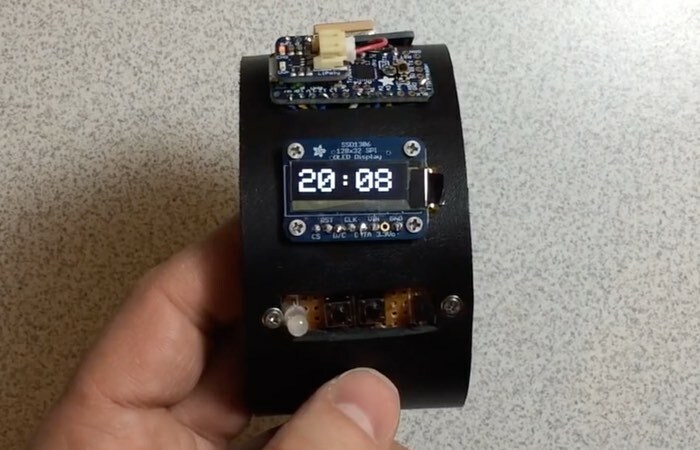 The wrist worn wearable Arduino GPS Watch has been created by Shawn Cruise and can be seen in detail in the video below, who published a video of his new creation on YouTube. Adafruit explains more about the main components of the watch and their functions. Trinket’s got a big sister in town – the Pro Trinket 3V! Pro Trinket combines everything you love about Trinket with the familiarity of the core Arduino chip, the ATmega328. It’s like an Arduino Pro Mini with more pins and USB tossed in. Version 3 of the Adafruit Ultimate GPS Breakout – 66 channel w/10 Hz updates board, comes with the latest module which has external antenna support and Pulse-Per-Second output.